1. Open your web browser and in the address bar type about:config and a window will open. Click on I will be Careful, I Promise button. 2. Just type keyword.url in the Filter Box (See screenshot below). 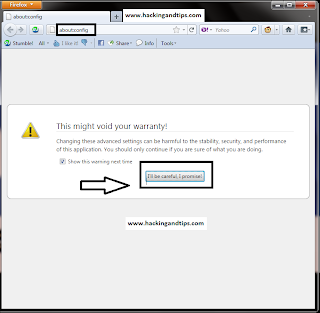 Right Click on the keyword.url and select Modify option. 5. Restart (Close and open) your browser and you will see Google as your Search Engine. Remember this trick will only work for Mozilla Firefox.